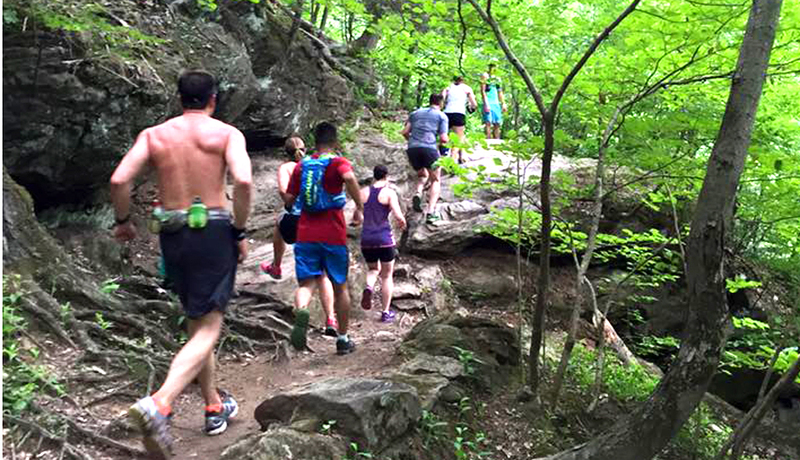 If you love to run the trails of the Wissahickon (or if you’d like to love it but are too scared to go it alone), meet your new favorite running club: The oh-so-cleverly named Chasing Trail running group. The group, started by Wesley Celestino back in December, meets at Valley Green Inn at 8:30 a.m. every Sunday morning for a run (usually somewhere between four and six miles) through the Wissahickon. Along with their weekly run, they also go for randomly scheduled trail runs throughout the week which they post to their Facebook page. As Celestino tells us, he started the group, along with the help of friends Christopher Meredith and Gary Brown Junior, after realizing he knew a boatload of people who’d never run trails before, despite living so close to a giant forest full of them. “We started the group just to get people out with other people who know the trails and who don’t care about pace or ability,” he says. And now, six months later, they’re shaping up to be one of the most — if not the most — feel-good running clubs around. As Wesley says, “We’re just out there to enjoy nature and have fun. We take a lot of pictures, we dance, we do some cliff jumping and just have a good time. We aren’t the group if you want to get faster. We are the group that has the most fun.” And judging by the photos on their very active Facebook page, they’re also fans of the pre-run cheesesteak and the post-run ice cream cone. See? Fun. The description for the Chasing Trail Facebook group, which boasts over 400 members, reads, “We run trails! We hug! We socialize. We dance,” and anyone and everyone interested in trail running is welcome to join in on the fun. You can keep up with them here.